Minister of Education and Research Toivo Maimets answered the question of Tõnis Lukas about the payment of teachers? wages, the question of Kaarel Pürg about teachers? salaries, the question of Mailis Rand about teachers? working hours, the question of Eiki Nestor about the school system in Estonia, the question of Reet Roos about the principles of financing the 21st century school and the Re-investment Programme, the question of Ela Tomson about the Bill on Amendments to the Republic of Estonia Education Act, the question of Avo Üprus about the use of EEK 145, 000, 000, the question of Siim-Valmar Kiisler about the conclusion of agreements of state commissioned education with private schools and the question of Mark Soosaar about the future of country schools. Minister of Economic Affairs and Communications Meelis Atonen answered the question of Helir-Valdor Seeder about road repairs and the question of Imre Sooäär about the Direct Connection Committee between the Government of the Republic and the Ministries. Minister of Agriculture Tiit Tammsaar answered the question of Ivari Padar about the measures for market protection, the question of Katrin Saks about children?s camps of farms, the question of Mihhail Stalnuhhin about the customs station in Narva and the question of Arnold Kimber about the approval of food handling enterprises. The Act on the Accession to the Protocol to the 1979 Convention on Long-range Transboundary Air Pollution on the Reduction of Sulphur Emissions or their Transboundary Fluxes (10 SE), initiated by the Government of the Republic, was passed with 45 votes in favour. With the accession to the named Protocol Estonia assumed the obligation to reduce sulphur emissions by 35 per cent by the year 2005 and by 40 percent by the year 2010, taking the level of 1980 as the basis for the calculation. The Act on the Accession to the Convention for the Pacific Settlement of International Disputes (9 SE), initiated by the Government of the Republic, was passed with 52 votes in favour. The Convention creates general principles for settling international disputes by conciliation procedures and tribunals of arbitration. In addition to the disputes between the two states, it is possible, on the basis of the Convention, to settle also such disputes where the State is the only Party as a subject to international law. 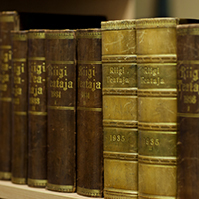 The Resolution of the Riigikogu On the Release from Office of Justice of the Supreme Court Hele-Kai Remmel (60 OE), submitted by Chief Justice of the Supreme Court, was passed with 47 votes in favour. Hele-Kai Remmel was released from office at her own request in connection with her retirement. 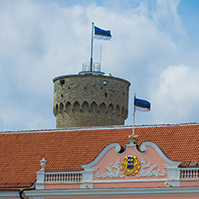 The Riigikogu passed with 53 votes in favour the Resolution of the Riigikogu On the Appointment of Auditors to Audit the Activities of 2003 of the Bank of Estonia (74 OE), initiated by the Finance Committee. On the basis of the Resolution the auditors of AS Deloitte & Touche Audit Veiko Hintsov and Villu Vaino are appointed as the auditors. The Resolution of the Riigikogu On the Appointment of a Member of the Supervisory Board of the Estonian Health Insurance Fund (63 OE), submitted by the Social Affairs Committee, was passed with 48 votes in favour (29 votes against). The Resolution appointed Toomas Tein as a member of the Supervisory Board of the Estonian Health Insurance Fund. The Resolution of the Riigikogu On the Appointment of Members of the Supervisory Board of the Estonian Genome Project Foundation (64 OE), submitted by the Social Affairs Committee, was passed with 67 votes in favour. With the Resolution Members of the Riigikogu Urmo Kööbi, Koit Prants and Vilja Savisaar were appointed as members of the Supervisory Board. The Supplementary Budget of the Year 2003 Bill (49 SE), initiated by the Government of the Republic. The term for submission of motions to amend to the Finance Committee is 5 June, 10.00. The Bill on Amendments to the State Borders Act (6 SE), initiated by the Government of the Republic. The Bill on Amendments to the Government of the Republic Act, Public Service Act, Anti-corruption Act and to the State Public Servants Official Titles and Salary Scale Act (57 SE), initiated by the Government of the Republic Act. The motion of the Isamaaliit Faction to suspend the second reading was not seconded. The results of voting: 20 votes in favour, 44 against. The Fertilizers Bill (5 SE), initiated by the Government of the Republic. The Bill on Amendments to the Feedingstuffs Act (66 SE), initiated by the Government of the Republic. The Bill on the Procedure for the Return of Cultural Objects Unlawfully Removed from a Member State of the European Union (20 SE), initiated by the Government of the Republic. The Performing Arts Institutions Bill (4 SE), initiated by the Government of the Republic. The Bill on Amendments to § 163 of the Taxation Act (59 SE), initiated by the Finance Committee. The Bill on Amendments to the Law of Property Act Implementation Act and Land Cadastre Act (30 SE), initiated by the Government of the Republic. The term for submission of motions to amend to the Legal Affairs Committee is 5 June, 12.00. The Bill on Amendments to the State Pension Insurance Act (71 SE), initiated by the Government of the Republic. The term for submission of motions to amend to the Social Affairs Committee is 5 June, 10.00. 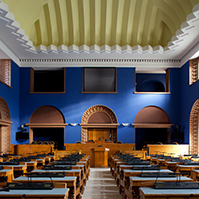 The Bill on Amendments to § 61 of the State Pension Insurance Act (22 SE), initiated by the Estonian Centre Party Faction. The term for submission of motions to amend to the Social Affairs Committee is 9 June, 10.00. The Bill on Amendments to Subsection 5 (2) of the Value Added Tax Act (44 SE), initiated by the Finance Committee. The term for submission of motions to amend to the Finance Committee is 5 June, 10.00. 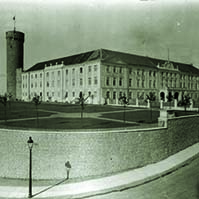 The Bill on Amendments to § 32 1 of the Basic Schools and Upper Secondary Schools Act (24 SE), initiated by the Estonian Centre Party Faction. The term for submission of motions to amend to the Cultural Affairs Committee is 9 June, 11.00. The Education Allowances Bill (31 SE), initiated by the Isamaaliit Faction. The term for submission of motions to amend to the Cultural Affairs Committee is 12 June, 10.00. The Bill on Amendments to the Republic of Estonia Education Act (69 SE), initiated by the Estonian Reform Party Faction, the Union for the Republic ? Res Publica Faction and the Estonian People?s Union Faction. The term for submission of motions to amend to the Cultural Affairs Committee is 5 June, 10.00. 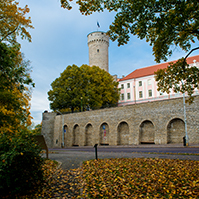 The Bill on Amendments to § 68 (1) of the Alcohol Excise Duty Act, Tobacco Excise Duty Act and Fuel Excise Duty Act (37 SE), initiated by Members of the Riigikogu Jüri ?ehovtsov, Liina Tõnisson and Toomas Varek. The term for submission of motions to amend to the Finance Committee is 5 June, 10.00. 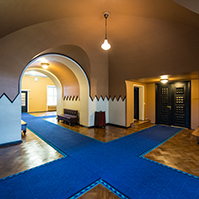 The Economic Affairs Committee as leading committee moved not to conclude the first reading of the Bill on Amendments to the Privatisation of Dwellings Act (25 SE), initiated by the Estonian Centre Party Faction. The results of voting: 45 votes in favour, 19 against. The Bill was withdrawn from legislative proceeding. The sitting ended at 20.08.